New Delhi : WhatApp, these days, is not just a mode of instant messaging. It has become a platform to share information, get updates about things going around and so on. The user-friendly app can now be used to check Live train status. Many times, people have been complaining about the struggling of checking Live train status before or during their journey. But now, the Indian Railways has given an option to check Live train status on WhatsApp, thereby making travel more comfortable than before. 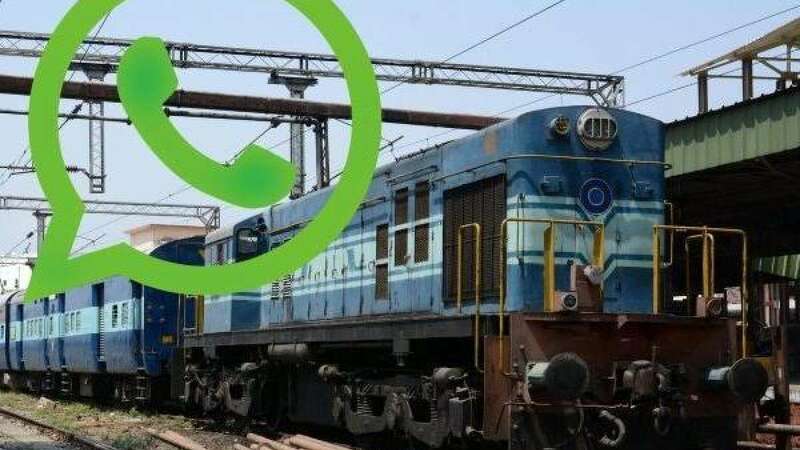 As per the new notification issued by Indian Railways, users will now be able to receive live status anywhere through WhatsApp which means that there will be no need to call on 139 in order to inquire about any particular train’s status. Users will also be able to get all the related information in respect to time as well as stations with this new service. Step 1: Save the number 7349389104 in your phone’s contact list. Step 2: Open your WhatsApp app. Step 4: You will have to wait for a maximum of 10 minutes before receiving a reply which will have all the details of that particular train and its status. To get accurate information about the train you are going to board do not forget to send the correct train number. Also, note that unless you see two ticks on your message or you won’t receive the details of live train status on WhatsApp or any other railway enquiry.